It makes sense usually to buy computer or console games during sales, for instance the regular sales on Steam, instead of right away when a game gets released. Not only is it a lot cheaper, you also avoid bugs on release, or server and infrastructure issues. While it may make sense sometimes to buy a game on launch day, for instance if you trust the developer or if you want to play it with friends who buy it immediately on launch, it is often better to wait. RedDeals is a free application for Android that requires no extra permissions. 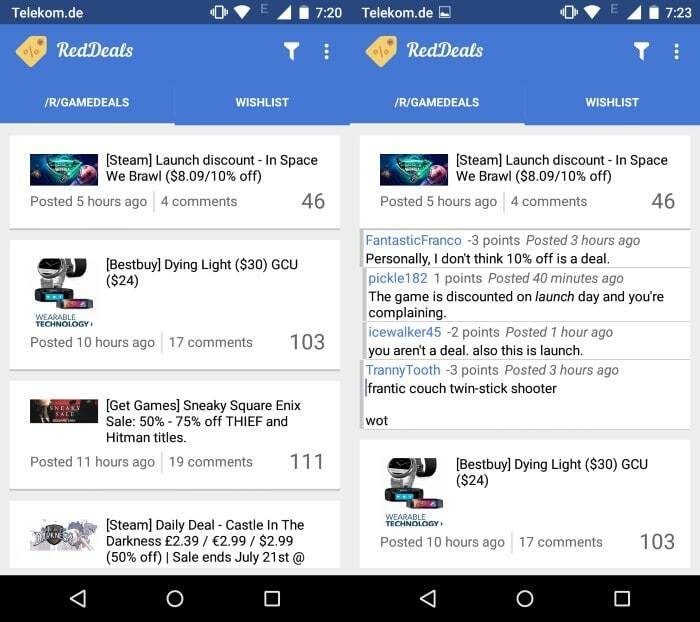 It taps into Reddit's GameDeals subreddit to display deals to you. Each deal lists the game's or franchise's name, the location it is available on and how much you save when you make a purchase. You may tap on comments to get them to display as well, or tap on the title to go to the site directly the deal was posted on. What makes it interesting however is the built-in wishlist feature that you can use to monitor the group for deals. The wishlist has two main functions: monitor the group for a specific game you are interested in, and monitor wildcard searches. The first option should be self-explanatory. You enter a game title or part of it, and the app displays games that match it in its interface. You may then add one or multiple results to the wishlist. The wildcard search on the other hand matches the term you enter. This can be useful in several occasions, for instance if you are interested in games offered by a shop or online store, a platform, or a game series. Notifications are displayed whenever deals are found based on your wishlist. You may dismiss them at any time to not be informed about them anymore, or tap on the notification instead to check out the deal. The app checks for new deals every 15 minutes which you may change in the settings. There you find additional options to change the sort order of deals, disable animations or switch from a light to dark theme. The majority of deals on GameDeals are virtual in nature but you will notice that some deals are available locally only. The app does not differentiate between those which may mean at times that you get notifications for deals that won't work for you. 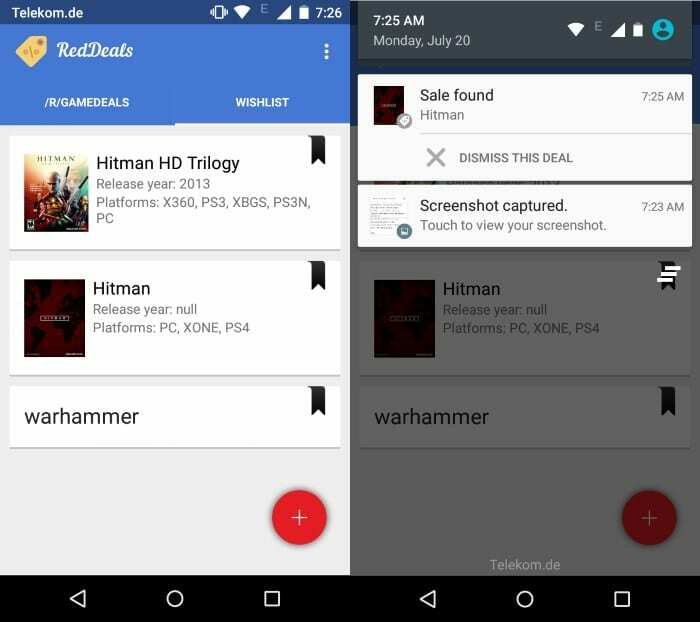 RedDeals is a simple application for Android that may be useful to gamers who want to reduce their game spending or be informed about the latest game deals. The application could use a couple of extra features such as limits (money or %off), and advanced filters that combine several search terms (e.g. store and name of game). Just got to know RedDeals through your article and loved it!